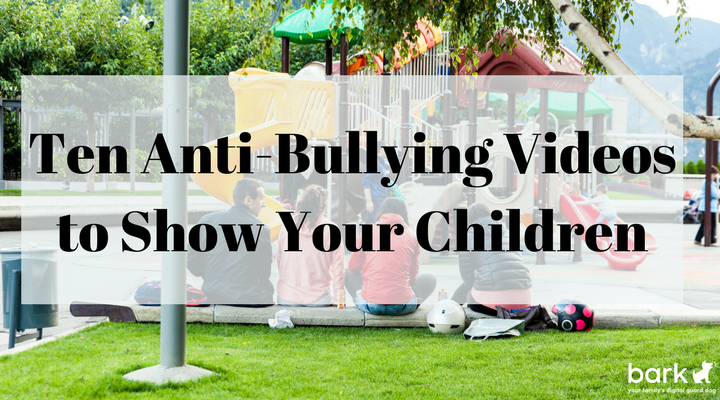 As parents, most of us will have memories of incidents of bullying at school. We were perhaps the victim, and some of us may remember with shame the times we were or we sided with the bully. Now, we can all agree that we want to keep our own children safe Also, we want to ensure they know how to get through life without falling victim to bullies. Ensuring children know what bullying is and how to deal with it is a vital life skill. However, it can be hard to know how to approach the subject. Thankfully, there are videos on YouTube that can help. Here are ten of the best anti-bullying videos you can show your children. Top of the list is the Danger Point Anti Bullying film which clearly shows how to deal with bullying at school and is aimed at primary school children. The message is clear. “Jessica” is bullied in a number of ways and finds it hard to tell either her teacher or her mother. However, when messages arrive on her phone she does an internet search and realizes she must tell. Her mother visits the school with her and they tell the teacher. The teacher talks to the bully and explains the impact of the bullying. The boy who bullied Jessica did it to be popular. The point is made. Bullying can be physical, verbal or emotional. It happens on and offline. Be brave, tell a grown-up, block any social media messages and do not keep the problem to yourself. There is also a clear message to adults. Both teacher and parent miss that the student is being bullied until she tells them. However, when she does, swift appropriate action. This is an excellent video to show in a classroom setting and would promote a useful classroom discussion. The different kinds of bullying children can experience are also clearly shown in Anti Bullying 2017. While Stand Up For Yourself is a helpful video showing how to stand up for yourself against bullies and works for the middle school age group. Another useful video is Mrs. Dudley’s Class Presents “Bully Free Zone” which has students presenting their school rules and presenting different scenarios and how they are dealt with. The Anti-Bullying Week 2017: All Different, All Equal – Key Stage 1 & 2 Film and associated videos are also excellent. Acted by older children and with musical accompaniment, the LMS Anti Bullying Video would be a good starting point for discussion for older children. While Do What’s Right – Better Internet Campaign powerfully shows the impact of negative social media messages on a young girl. The video also shows how her friend helps her. Another powerful video, I’m Fine – A student short film about bullying, shows a girl being bullied and ends with her telling a friend. Again, the message is clear. Things change when you tell what is happening to you. Finally, Friends Can Be Bullies Too gives a good insight into how a friend can also be a bully. The Burger King video makes a great impact, showing how people often stand by and do nothing when they see others bullied. In the war against bullying nobody can stand by and watch it happen. Telling someone is always the right thing to do. Sign up for Bark and get alerts if your child is experiencing issues online like cyberbullying, sexual predators, or showing signs of depression.